True Reggae began in Jamaica in the 1960's. It is a mix of traditional calypso and mento music that adds in American R&B and jazz. Bass guitar is dominant in the music, thick and heavy. One of the most recognizable traits of true reggae is the offbeat rhythms. Most people think Bob Marley when they hear the word reggae, but there have been some other superstars as well. Anyway, enjoy our list of the 15 best reggae songs. All the following 15 best reggae songs are ordered by their release year. Enjoy! Paul Simon jumped the gap between reggae and mainstream rock and managed to hit a home run. His mournful tone and instant groove mix to play on your emotions. Classic Rolling Stones vocals dominate this hit from the album Black and Blue. The music is heavy with Latin keyboards, reggae riffs, percussion and funky bass. The reggae influence is unmistakable without losing Stones's perfection. The Police released this song from an album rife with reggae undertones. This single combines an amazing mix of spacey chords, light sticks and jagged guitar, infused with Sting's soulful tones. The Clash has always managed to incorporate reggae influence into their music, and this single is no exception. It in fact has paved the way for their musical ability to expand, keeping the reggae as a key mix with their punk sound. Sister Nancy released this catchy tune that caught the ear of reggae lovers. Her traditional vocals, as well as the acoustic guitar, sax and gentle drum beat come together in a smooth mix that is easy to listen to. Admiral Bailey was the masterful genius behind this single. Perfect reggae sound mixes with an energetic beat that is traditional with no overpowering vocals. It combines for a smoothly flowing treat. Inner Circle was the band behind this well known Cops theme song. The vocals are hard hitting and the beat is classic reggae with no fluff. Unlike many reggae songs, you can easily understand most of this one. Shaggy watched this contemporary reggae classic sail instantly to the top of many charts. It played constantly in dancehalls by popular request. This single about Shaggy giving not-so-great advice to a friend has a Jamaican beat that is fun and irresistible. Sean Paul brought his authentic reggae voice to the forefront with this single from his second album. Popularity in dancehalls suggested that the hard beat and fast tempo appealed to people everywhere, although it didn't quite make it to the top 10, only peaking at No.13. Lady Saw used her punchy vocals in this single about taking another woman's man and not being able to do anything about it. 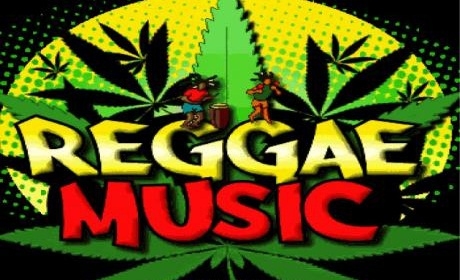 The background reggae beat is not loud but constant and distinctive, which helps to create a fun to listen to song. Superstar Rihanna has reggae influence in all her music. Her strong vocals betray her Caribbean heritage with its deep and smoky tones. This single enjoyed major dancehall popularity and went to No.2 on the charts. Tony Matterhorn's authentic reggae tones helped catapult this single into a hit in the dancehalls. Every time you hear it, your body follows to the reggae beat and starts to move on its own so naturally that you won’t even believe. The unusually fast tempo for a reggae song makes this one unique. Michael Franti used a classic reggae beat and clear vocals to come up with this download success. It did nothing spectacular on the charts, but it did have a lot of commercial success. The steady drum beat is addictive and gets you up and moving. Canadian band Magic mixes classic reggae and contemporary pop in an engaging combination. Reggae influence throughout the band and their music is strong. This single was their debut and took no time to reach No.1. Strong authentic reggae vocals mixes with hip hop sounds and something else in the background that is pleasant to listen to. Ninja Man also throws in some almost pop-sounding influence that somehow mixes together in a smooth way.